Living on a farm in Brazil, I've gained local in-depth knowledge of food, plants, and traditions, which I share through my articles. 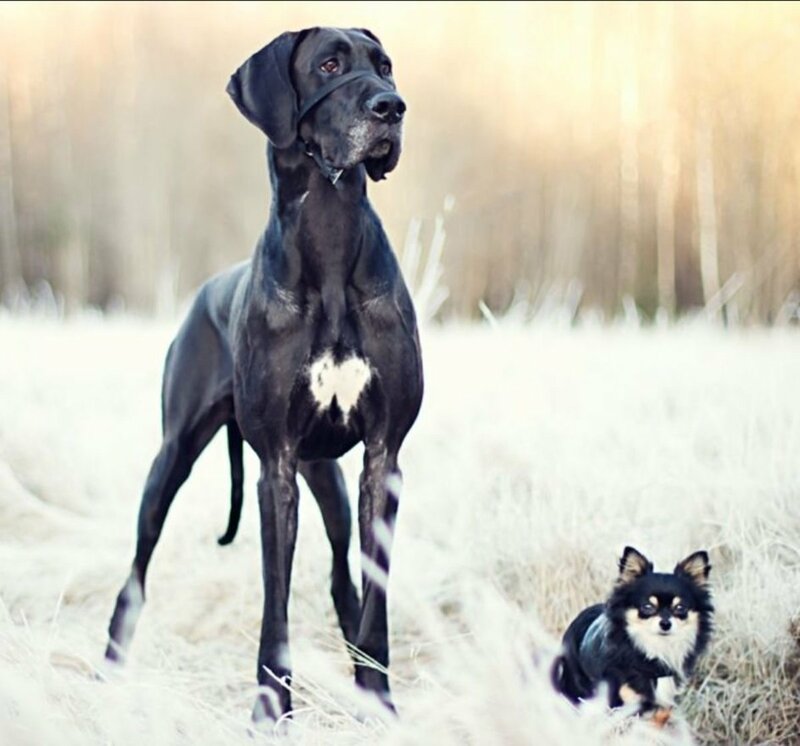 Generally, when you think of security for your home or your own personal safety, it's easy to think that dogs are the only animals to be considered. 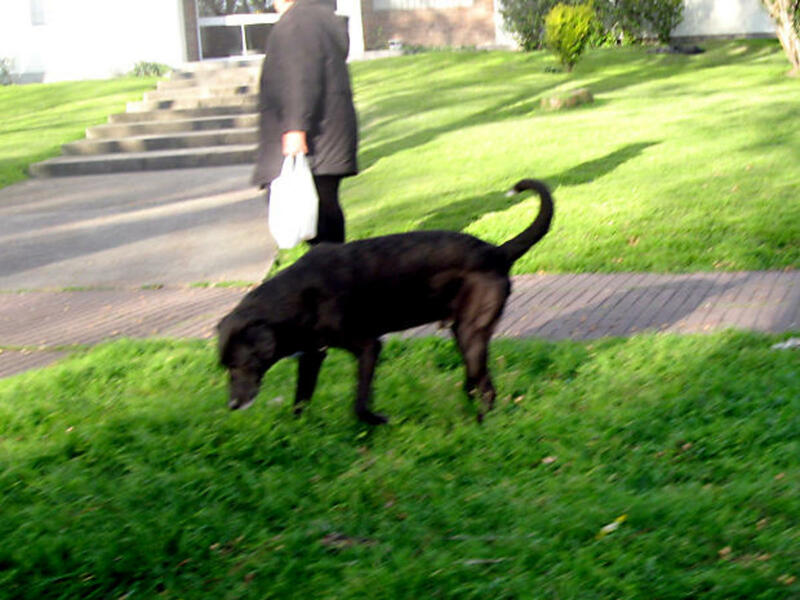 There are many types of dogs that are suitable to deter attackers and to protect you, your family and your property. 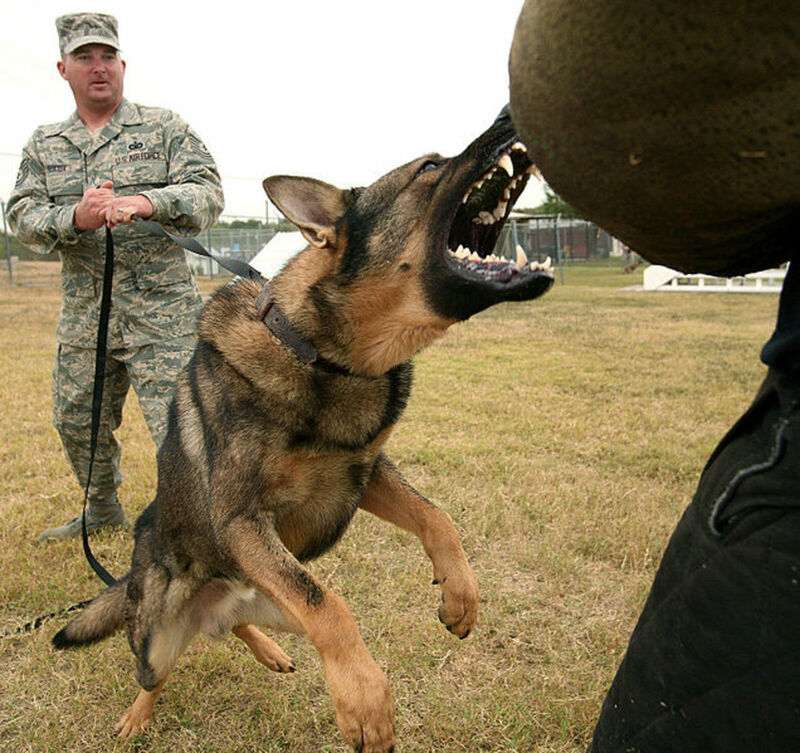 The German Shepherd (pictured), Rottweiler, Doberman, Mastiff, and the Pit Bull are all a threatening presence for would-be intruders or attackers. These are just some of the breeds that people have as security or for patrolling around their grounds. 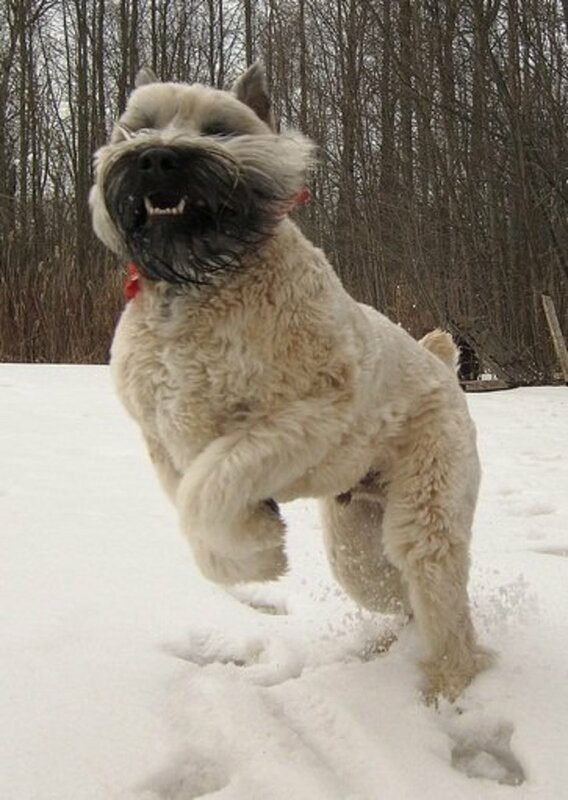 Other dogs, including small dogs, may not be able to bring down an attacker, but will alert you to danger and bark until they feel the danger has passed. This is also an important deterrent because thieves prefer their activities to go unnoticed. 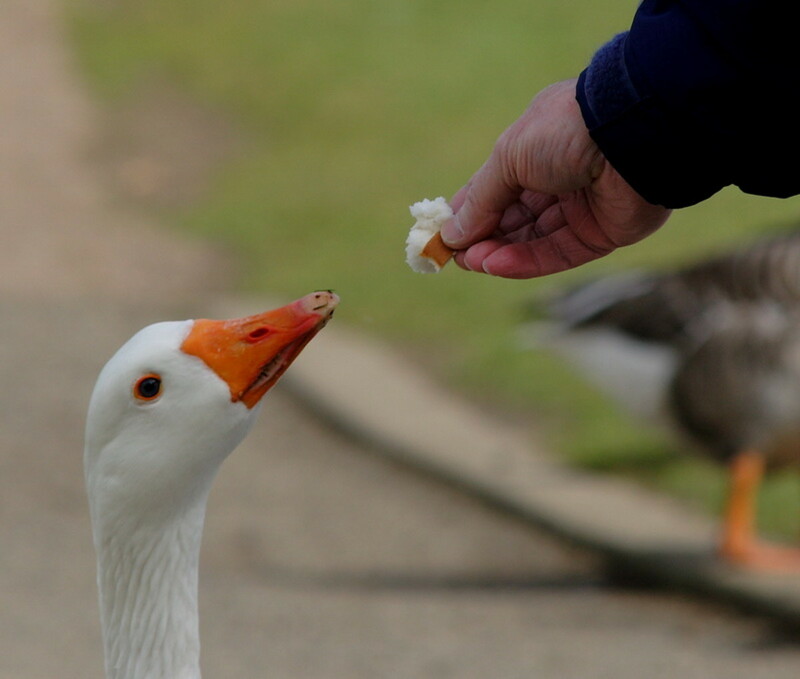 If you've gone to a park to feed the ducks, you will know how threatening geese can be. Many a child has been chased, pecked, or attacked by geese. Geese are very territorial. If you have a body of water, they are a good addition to secure your property. 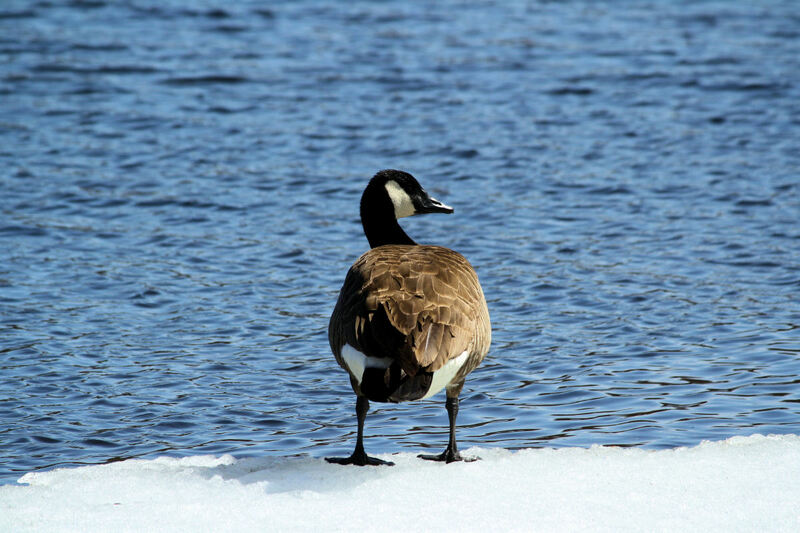 We have had geese here on our farm and if anyone was to go near the water during the day or night, they would alert us by honking. The sound of honking alerting the gaggle make geese a popular low-cost alternative for home security. When people arrived at our home whom the geese didn't know, many were chased by one—the geese would charge them with wings outstretched. I have seen adults run from them (some due to memories of being chased as a child). Swans are often thought of as the beautiful and graceful bird made famous in children's stories. If you have never seen a swan up close, I can tell you, they are big! When they come out of the water they can look enormous. Swans have been known to break a person's bones with their wings. They are a beautiful bird that can also be aggressive. 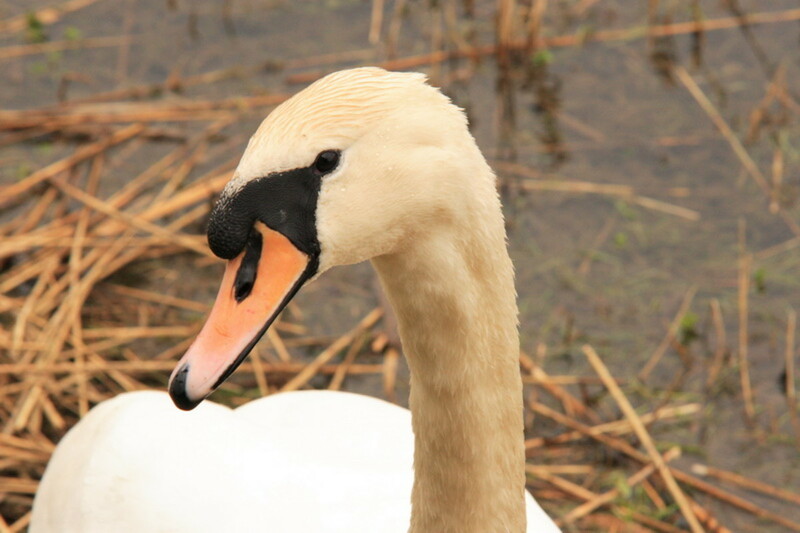 Some swans can reach sizes up to 60 inches tall (1.5m) and have a wingspan of almost 10 feet. This size coupled with a weight of 33 pounds (that's the equivalent of 2 bowling balls) makes this a formidable bird. If you have a property with lakes, swans are not only a beautiful addition to your surroundings, they make a fabulous "watch bird". Like geese, the loud noise and the aggressive nature of this species will make people think twice before entering your grounds. Besides providing you with eggs and meat, the guinea fowl treat strangers as an unwelcome visitor. They are fearless and will take on dogs, cats, people and even snakes. They surround their prey as a flock and attack. They are also wonderful for pest control around the garden and eat insects (especially ticks). Be warned though—they are noisy! This noise can be continual, and unless you can tune it out, it may drive you crazy. We had guinea fowl for several years and although they are alert to anything unfamiliar, they get alarmed by inconsequential things too, such as a plastic bag blowing across the yard or a garden hoe left in a different place than normal. Llamas can protect your livestock from animals such as foxes, coyotes, or stray dogs. Llamas may look comical, but they are an excellent choice to watch over other animals. In certain places such as Britain and The Americas, people are using llamas as protection for their sheep and goat herds. The owners will place the llama in the same field as the sheep or goats. The llama will stand guard, protecting the herd as if it were its own offspring. Gelded males work out the best as a protector of the herd. 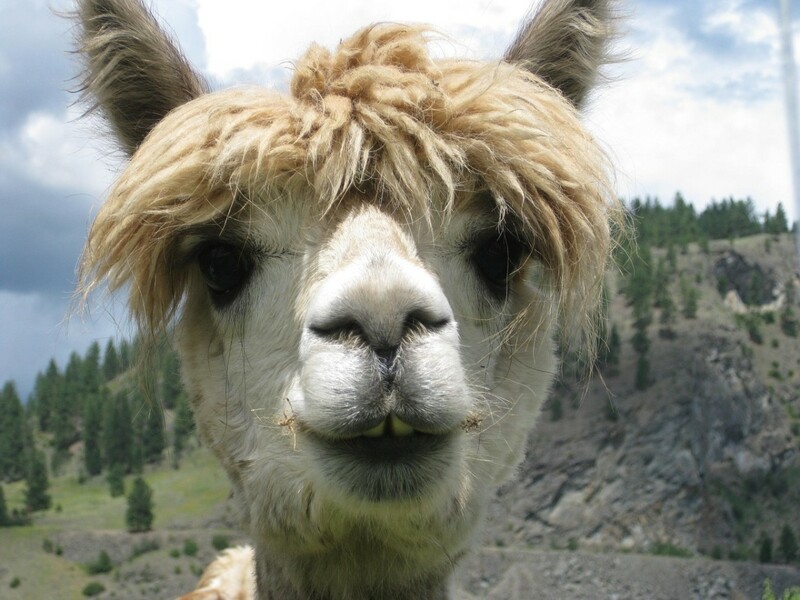 The height of a fully grown llama can be 5'5"- 6' (1.7-1.8m) tall and they can weigh between 280-450 lbs (130-200 kilos). They will chase a suspected threat and rear up onto their hind legs to scare off the intruder or stomp. Here in Brazil, I had a small free-flying cactus parakeet. Every time we had someone arrive, it would fly to my shoulder. Some people it had no problem with and it would attack others. Although he was small, a bird flying in someone's face is frightening and is enough of a deterrent to create a distraction and help you to either get away or fight back. These birds, like many others, are easily tamed and very protective. I imagine you have seen other animals that have been used as protection or for security. I would love to hear your stories. 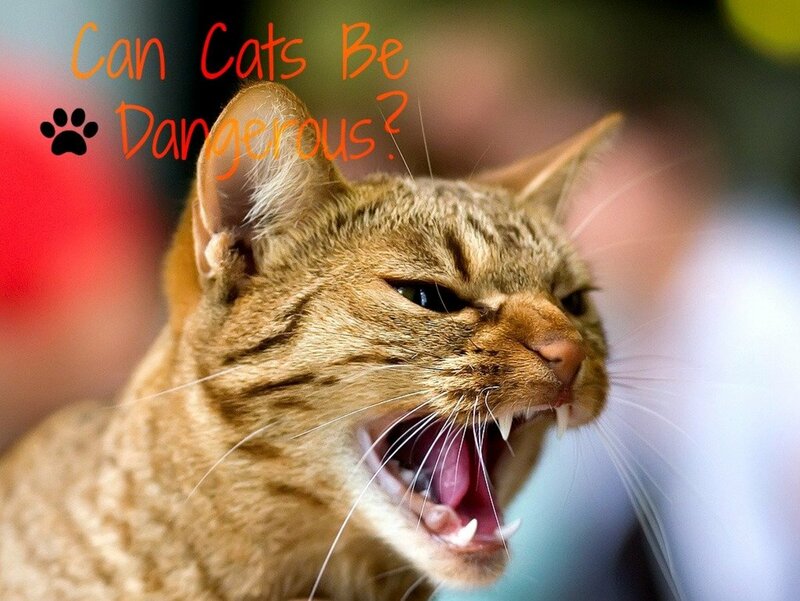 Why Do Pet Cats Attack Their Owners? There are many people who also didn't know about llamas. They are being used more and more as 'shepherds' of flocks in many countries. There are so many animals which have a herd mentality when it comes to protection. Also, like the guinea fowl, they are always alert to what they perceive as danger. 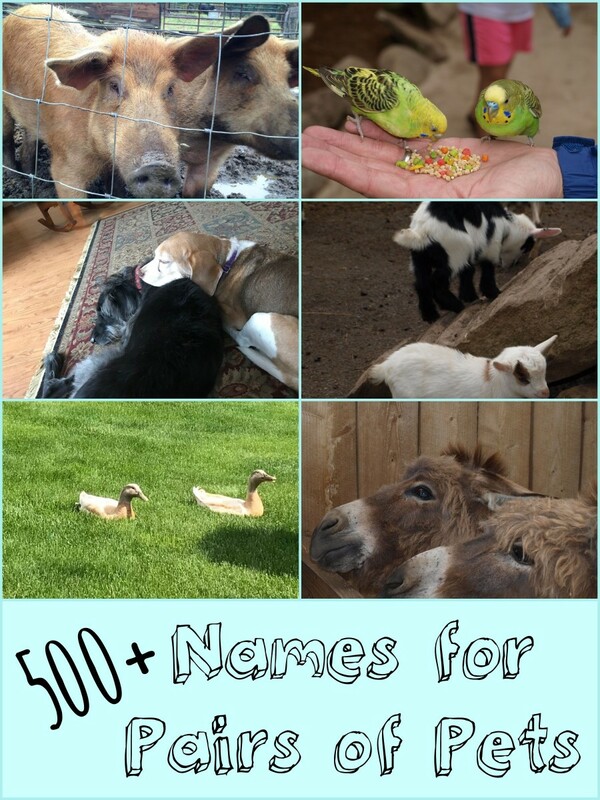 For many animals, it is just finding a way to incorporate them into your farming or home life. I was expecting something more common... gave me a laugh on the Guinea Fowl, cause I didn't know that! You learn something new everyday... thanks for the Hub. Glad you enjoyed it. It is true, we always think about dogs but there are many more animals which have that protection instinct. Very interesting hub. I never imagined any other animal except dog and to some extent may be cat could be used as guard animal. Very interesting I must say. Thank you for a wonderful hub. A lot of people wouldn't think of those, that is what makes them great. The element of surprise. Never would have thought of many of those to be honest. I don't know about that but it wouldn't surprise me. I suppose it is similar to the llama. Because they are a herd animal maybe they are protecting their human herd. I know people who keep donkeys as protections against coyotes and stray dogs. I've also heard that donkeys can even thwart mountain lions, though I'm not sure about that. I think I've heard that people in parts of Africa keep donkeys also to protect against lions because they are extremely alert and bray long before a lion gets near. 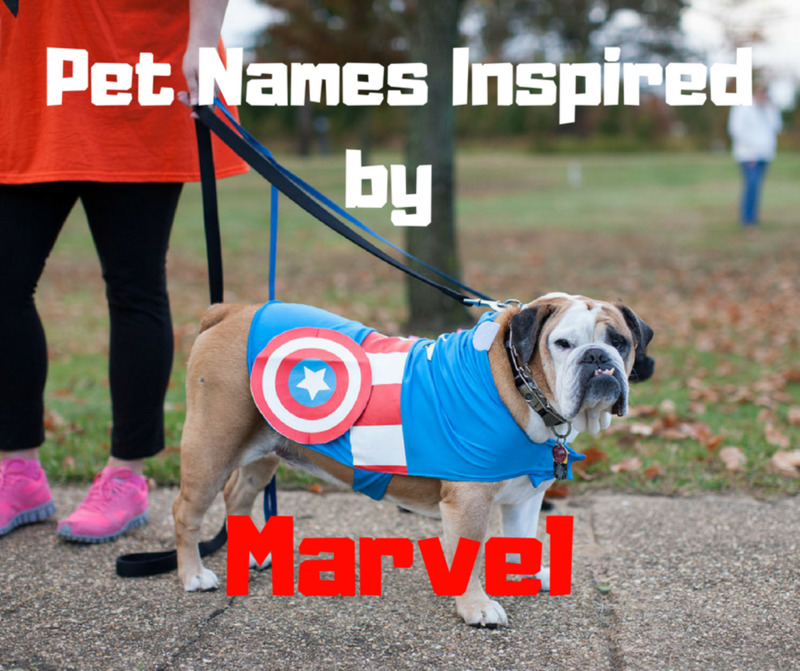 It sounds like your dogs, did save the day. No one wants to be confronted with dogs. 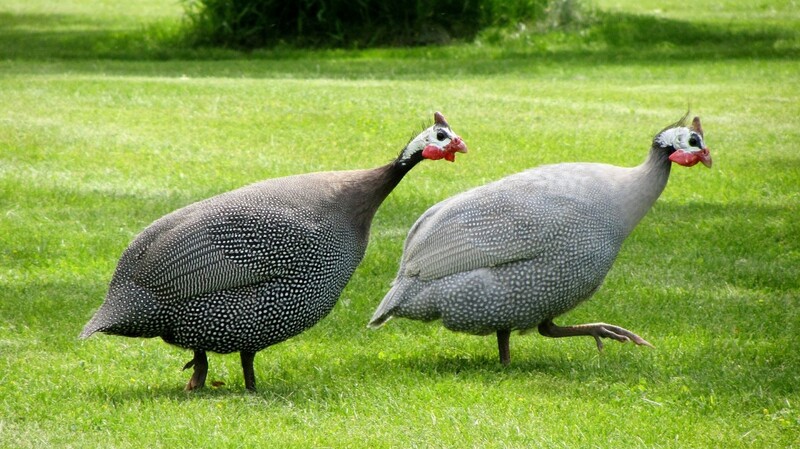 As with guinea fowl and others, they may not seem dangerous but as an alert, they are fabulous. Wonderful to hear from you. Loved this hub - I have a Rottweiler and now a Great Pyrenees pup who doesn't really seem like a puppy (he's 101 lbs at 11 months) - these dogs have saved me a ton of money by scaring off at least one would be thief (that I know of). The guy started cutting a hole in my window with a glass cutter then stopped and left, probably after hearing my dogs roaring at him. Also - you're so right about the guineas - my neighbors have a few and they sound the warning every time I walk by, and it's loud! Some people probably think they're annoying, but I kind of like them. Thank you, that is a great compliment. You know, they say 'you learn something new everyday'. I am pleased to have had a hand in it. Wow! You know a hub is a very good one when you come away learning something entirely new from it. I was unaware of the ability of these animals to provide security and protection. Great information! I am glad you enjoyed it. I must say turkeys are bigger than some people think, they look threatening! I can see where that could have been a problem. We had a turkey as pet when I was growing up. He was a guard dog in reality. No outsiders could enter the yard as he would attack! We eventually had to give him to a farmer because he was causing problems for my family: my dad was a pastor and people could not even come visit as needed. That's not so good a thing! Great hub topic and enjoyable to read. Thank you for the vote. I am pleased you found it interesting. Thanks for stopping by and have a great evening. Wonderfully done hub! I am very familiar with the Guard Dog, but I was not aware of the majority of the other animals that you write about as protection animals. Most interesting and useful! Voted up. It seems we all have had memories of some bird aggression in our past. My husband has always loved birds since he was young. It took me awhile to get over a fear of them after being attacked whilst riding my bicycle when I was young. I had to laugh at the swans. My girlfriend always had swans and boy were they mean. 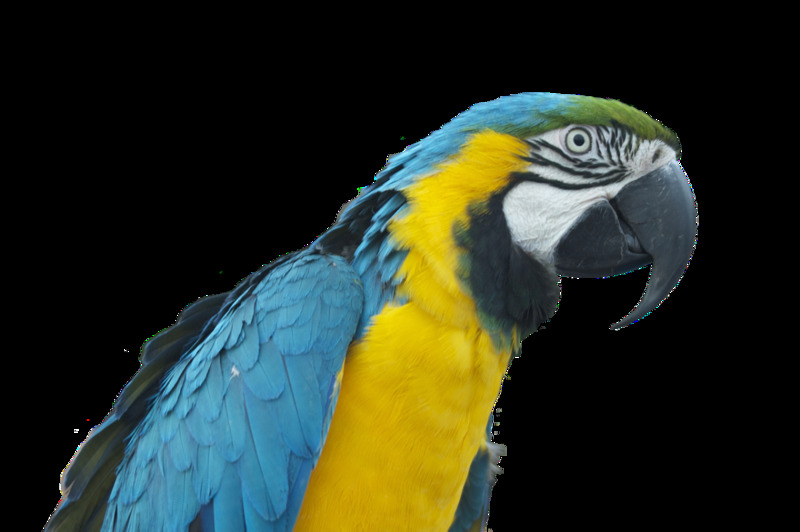 The parakeet sounds brilliant - I've seen people keep free ranging macaws before, but never known a person be able to have their parakeet with them out in the garden like that - it must have really trusted you. I'm amazed that the British weather has made the news in Brazil! It has been exceptionally soggy for a few months with water pouring through retaining walls off the fields on some days. 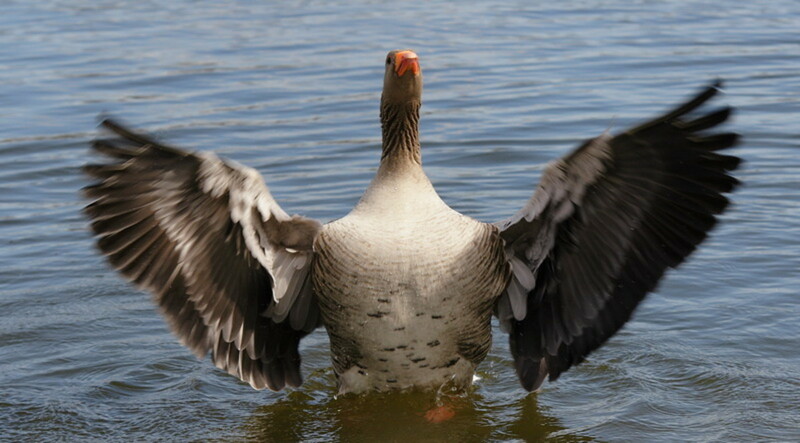 I suspect those students heard about the gander, obviously he had a reputation. They are rather finicky as to who they like. I had a cactus parakeet and it stayed out all day with me. Riding on the wheelbarrow, watching me work in the garden, but if anyone arrived it was right there. One time it flew across the table at the police who often stop by for coffee. They weren't expecting that. Their reply, "We prefer cats". Wonderful to hear from you, I hope you are staying dry. We hear Britain is having unseasonably wet weather. It always rains during Wimbledon. There was actually a video on YouTube showing a llama chasing down a man. Unfortunately there were many people in the field laughing, in my opinion teasing the llama. Quite frankly those idiots get what they deserve. You put something fluffy in a field and people expect it to be like a stuffed animal. There needs to be more people educated in 'farm life'. At agricultural college quite a lot of our students were afraid to go with the geese because the gander was very particular about who he liked. (I was friends with him)I enjoyed reading about the other guard animals, especially the parrot. I read a hub about a dog attack on a "sweet innocent llama". No such thing! I´m glad you put them on your list. Interesting hub. Thanks. I am glad you enjoyed the video, you aren't the only one who laughed. The more I know about birds, the more I respect them. I loved having geese and I must say I had a chuckle when I saw grown men running from them. We had both white and Chinese geese and they are characters. Thanks for stopping by and have a great weekend. I admire this hub. I got the dogs, now I want a goose and llama. I knew geese are good guards, but didn't know that swans were aggressive. Sorry if I shouldn't have laughed at the video, but I did. I thought it was hilarious. I know it wasn't to the people involved. Just gotta love those birds. My best friend in high school had a pet goose in the backyard....for those reading this who do not think a goose can protect, you are sadly mistaken. They are downright frightening and they will attack anything that enters their space.